The new Smart phone era has changed the way people live, smart phones were not just used as an instrument to communicate but also perform their business tasks. The biggest challenge faced by large and SMB organizations is how to handle the large set of data, and how to secure those data access. We all know enterprise data (big data) contains sensitive informations. The information that is sent from the server to the device has to be accessible even when the device is offline, large amount of data has to sent back to the server in secured way as well. In general, majority of the business data comes from the back end, resides in the device and sent back to the servers via the cloud like platform. So the first thing would be processing the data in the device and loading them in the device database, so that the user can access those datas even when there is no proper network connectivity. Enterprise applications needs more data to be shipped to the device every day. A business analytics needs large data of set datas that he/she would analyse before making a decision. He/She may plot those data over several charts to make a decision. He/she may also process those datas by applying specific algorithms predefined by the application. Sending a chunk of data to the device may take some time and not sure how reliable it would be.There comes the Synchronization server platforms like Motorola RhoMobile providing good solutions to solve these kind of problems. RhoConnect which is a part of the RhoMobile suite, gets the data from the Enterprise servers and constructs sql dump, archive it and send the dump file to the device. The device then can download, un-archive, populate the data in to the device database. In this way the processing speed would be decent even when the data size is big (how big can be big will be analysed as part of my next blog posts). 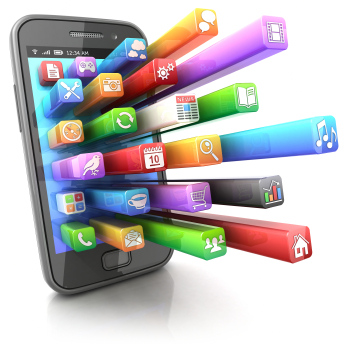 There are several chances of not having network connection while using a business applications in smart phones. Example: The CEO/CXO is on flight. The truck driver carrying Bill of lading documents inside an underground levels/floors. Chief Doctor in a surgery room. In such cases, the logical actions taken by the users should be stored in the mobile database and then sync when network is available again. The information in the device should not be accessible to other people in case of theft or lost. For instance Dropbox wipes its data if someone tries to enter wrong password thrice. Mobile Banking analytics applications should wipe the data itself when accessed incorrect users. External applications should not override the sandbox used by Company applications and so on. So the data that is stored in the device has to be encrypted and even in the case of theft or lost the data won’t be accessible to the outside world or atleast hard to decrypt. RhoMobile (Rhodes) provide such encryption features out of the box. IBM Worklight has taken Mobile Security Measures to achieve a high level of data security, like “Encrypted Offline Cache” that helps to protect sensitive information from malware attacks or device theft. More to follow on this topic on my next blog post.